Found this oldie-but-goodie (I miss Gourmet Magazine! Come back!). I ate one right after they came out of the oven with some freshly whipped whip cream — and oh, lordy it was good. 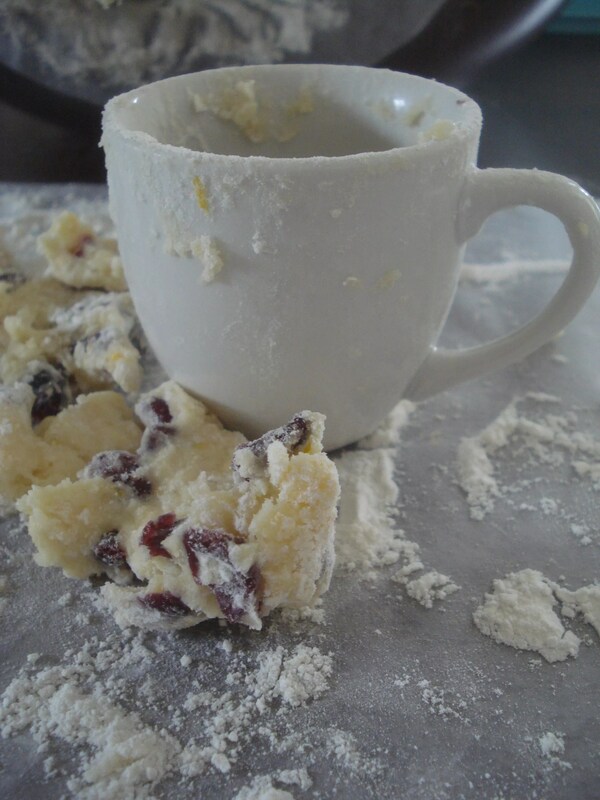 The scones are crumbly and soft on the inside, with great bits of chewy dried cranberry and scented with lemon. And they’re fun to make — scones require you to get in there and really get messy. My “kitchen fairy”, Casey, won’t be pleased…until he tastes one. Serve scones warm with crème fraîche or whipped cream. Scones keep, individually wrapped in plastic wrap and foil, chilled, 1 day or frozen 1 week.